I got a text message from a mate who alerted me to this Los Angeles-based group, whose sound is certainly rather special. Chief pitch in somewhere around the Midlake, Band of Horses, Tom Petty and Fleet Foxes with the harmonic side of their music, but lyrically well away from all four. Having released just one single so far, you might be wondering why I'm bothering to mention them. Go to their MySpace page (link in the sidebar to the right) and listen to "Breaking Walls" - see? Good eh? If you are at the Hard Rock Calling Festival shindig on Friday with Pearl Jam then someway down the billing is Chief. 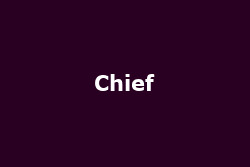 You may well be at Glastonbury on Sunday enjoying the sun and the sounds - Chief will be there too (around 8pm at the Queen's Head Stage). Oh and there is also Latitude and Lounge on the Farm [for which we'll be offering a few tickets shortly! - Ed] .... But aside from all this festival excitement, they are on a short UK tour to peddle their rather splendid wares and I reckon you should check them out. The tour starts in Bath on 9th July and continues on to Nottingham (12th), West London (13th - supporting Middle East), Camden (14th), Manchester (16th) and back to London at The Social on the 20th. Most tickets are under a tenner. I reckon it will be money well spent. Watch out for their new album, "Modern Rituals", released on 20th August.